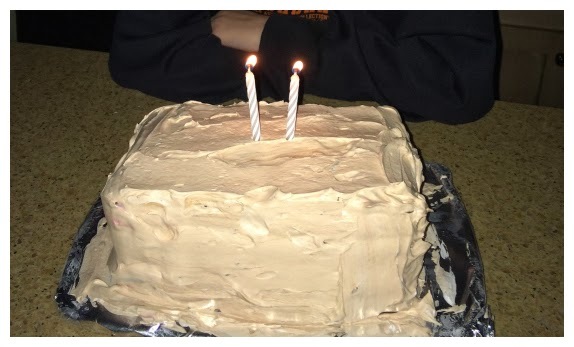 My son requests the same birthday cake, every year. I love it, because it is such a simple dessert to make but also tastes delicious! 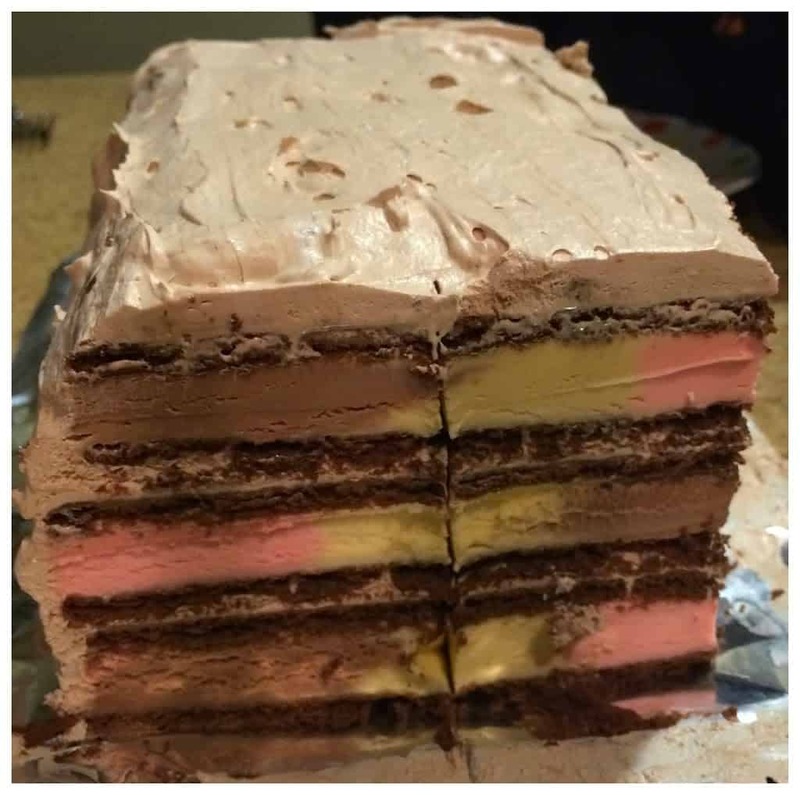 His cake of choice is a Layered Neapolitan Ice Cream Sandwich Cake. We have done it each year with different flavors of Ice Cream Sandwiches. 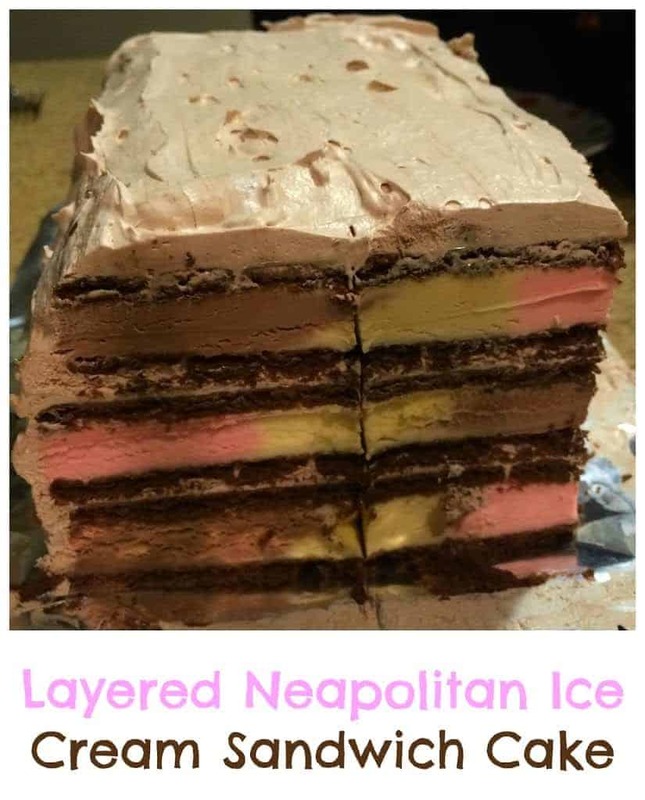 We started with traditional vanilla, but we have found that Neapolitan is fun because it gives you a great variety of flavor. 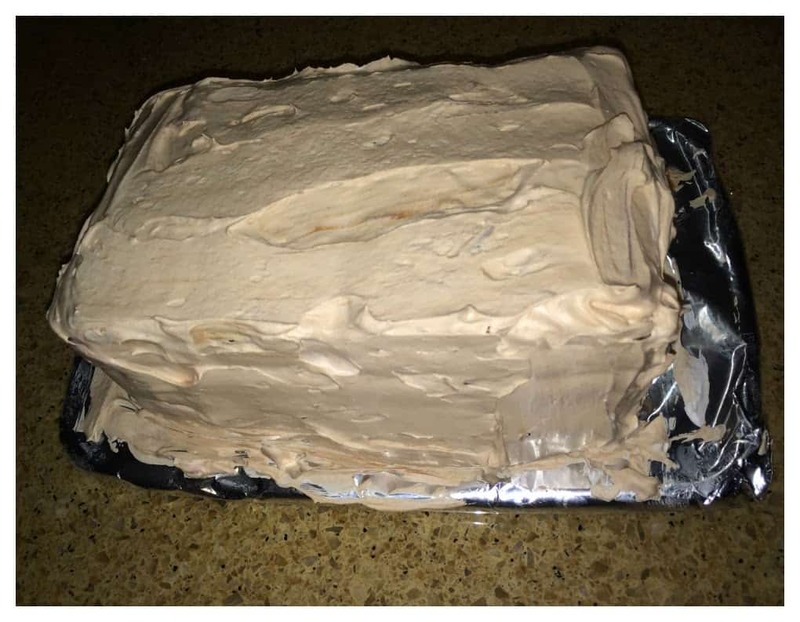 I mentioned that this cake is easy to make. I wasn’t exaggerating! All you need is three ingredients. 3. Spread a layer of Hot Fudge Cool Whip over Ice Cream Sandwiches. 4. Add 4 more Ice Cream Sandwiches over Whipped Cream. This time, I made sure that strawberry Ice Cream was facing the direction the chocolate ice cream previously was. 5. Spread a layer of Hot Fudge Cool Whip over Ice Cream Sandwiches. 6. Top with remaining 4 Ice Cream Sandwiches. 7. Cover top and edges of ice cream Sandwiches completely with Hot Fudge Whip Cream. 8. Put your competed cake into the freezer until you are ready to enjoy! Next Post: Lola’s Math Train 2 App Available Now!